There are a lot of costs students don’t typically think about when they’re heading to college: meal plans, parking, laundry, and copies, for instance. But the one that really gets us all that first semester is books. College textbooks are expensive. Everybody knows it, everybody complains about it, and there’s not much anybody can do about it. Ask a college bookstore manager – even they don’t like it. But the textbook companies have a captive audience, and with revenues down in other sectors of publishing, they’re going to get all they can out of you. Don’t let them. Here are some ways you can cut your textbook costs and still get the education you need. Like you need another reason to go peruse Amazon; you’ve probably got the tab up right now. They even have a special textbook section. 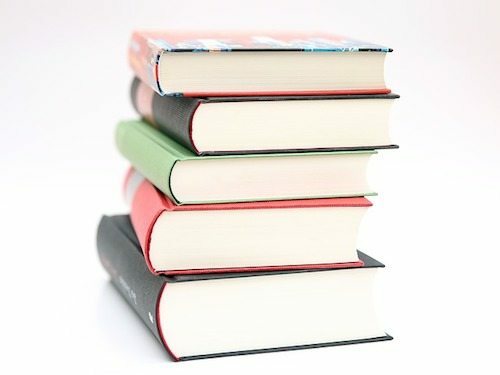 Online bookstores (like Amazon or even good ol’ Barnes & Noble), often discount new books up to 20%, unlike college bookstores, which usually can’t afford to discount. You may even find a used version for much less. However, if you buy used, make sure you are using the correct version for the class; most professors have a particular edition in mind, and they expect everyone to be consistent. The information on required book editions should be stated on your instructor’s syllabus. Many professors, having run this gauntlet themselves, will recommend buying used and even send out the syllabus ahead of time, or give you a short window once the class starts. Thank those professors profusely. Like we said above, you may find the needed book used online; however, another good place to look is your actual school bookstore. If you’re buying used from the bookstore, you know for sure that you’re getting the current edition your professor wants. Most college bookstores have a book-buy-back program, so keep that in mind when you are finished with your class. Unless you’re planning to keep Advanced College Algebra for beach reading. Secondly, it’s one thing to run in and take out a library textbook because you left your book across campus in your dorm room, but to sit on a textbook all semester is not really fair to your other classmates. Lastly and most importantly, good luck finding the right edition in your school library. Textbook editions change so frequently, the college library most often does not stock the newest edition. That means you will have a slightly different layout in your book. That slight difference can cause a lot of headache when a syllabus states page numbers to read and home work assignments that do not line up with old editions. Bad idea. Don’t do it. This is just too much to figure out. Who gets the book on the weekends; how do you take notes; how will you do time sensitive reading and assignments? You may not have the same study habits as your classmate, or maybe you do and that creates more of a conflict. Don’t say we didn’t warn you when you’re looking at your anatomy book wondering if that’s the spleen or your friend’s coffee stain. Paying for textbooks is a perennial problem, but it’s one that may soon be going away. Many colleges are switching to electronic textbooks, which are usually cheaper and more convenient. Sure, there are some disadvantages; there’s a learning curve to navigating and taking notes, and you can’t hide a comic book behind your giant Western Civ text. But textbook publishers are taking note of how much students and professors hate them, and are digitizing their textbooks for lower costs. In a few years, this advice may be obsolete. Laundry and parking are still going to cost you, though.